Scottish Cyclocross Association: Scott CX Competition - we have a winner! 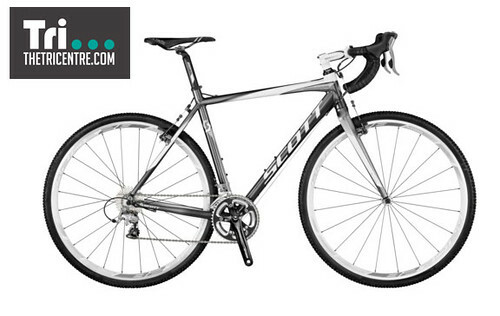 Congratulations to Simon Kenny of West Lothian Clarion who has won an awesome Scott CX Comp in the season long The Tri Centre / Scott Bikes competition. Simon will be picking the bike up at The Tri Centre's Christmas Fair on Saturday 17th December. Drop in to the shop to meet Graeme Obree and get a your copy of his new training manual - The Obree Way - signed whilst enjoying some mince pies and mulled wine with The Tri Centre team. Thanks again to to The Tri Centre and Scott Bikes for this very generous prize.